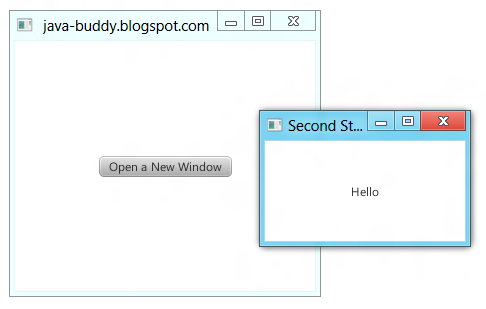 The example demonstrate how to open new window in JavaFX 2, once button clicked. Nice! Thanks for that! It very helpful. Maybe you know: how too snap* two windows? And what's happen if the first window will be close? The second window will remanins open? Please check JavaFX example: open new Window and exit all when primary window close.